Nothing can make a home look more dated than old-fashioned, yellowed wallpaper. Made of printed or patterned paper that is glued onto drywall or plaster, this material is often used in lieu of paint to decorate a room. 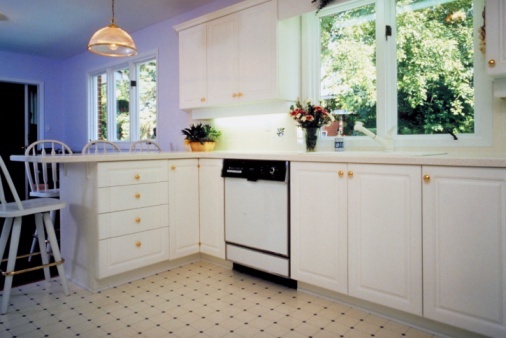 Over time however, many homeowners regret the use of this product as it wears and yellows with age. In addition, busy patterns or bright colors can be difficult to match to the rest of the room's decor. Fortunately, it is possible to remove wallpaper using some simple home remedies. Depending on the size of the room, you can affordably remove your wallpaper in just a few hours using these methods. Move the furniture in the room away from the walls and place them in the center of the room. Cover them with plastic or drop cloths to avoid damage. If possible, cover up wood floors or carpet as well before you start. Simply peel the paper off with your hands. 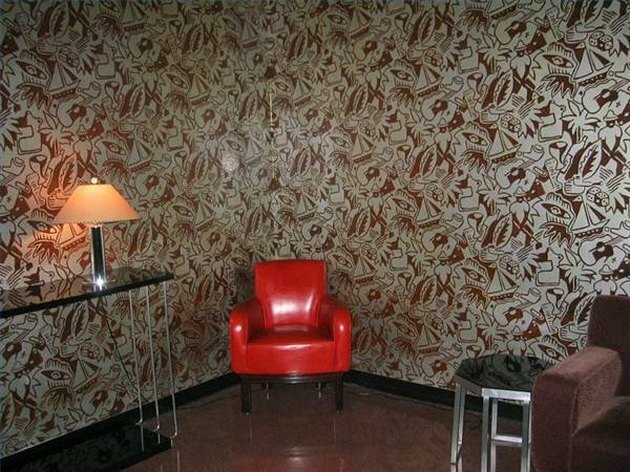 Wallpaper that was installed after the mid-1990s is generally easy to strip. Use a paint scraper or putty knife to work away tougher spots. Fill a bucket with one part vinegar to three parts water. Use a rag or sponge to saturate the paper in a small area, then let it soak in for a few minutes. Using your scraper or knife, strip the paper in this area. The vinegar and water will often loosen the glue, making it easier to remove. Mix one cup of dish soap with one gallon of water and apply it to the paper using your sponge or rag. Dish soap is tougher than vinegar and will be able to loosen up more stubborn adhesives. Fill a spray bottle with half water and half fabric softener. Spray this solution of the paper and let it sit. Fabric softener is one of the toughest home remedies for wallpaper removal. After it has soaked in for a few minutes, you should have no problem scraping away the paper with your knife or paint scraper.